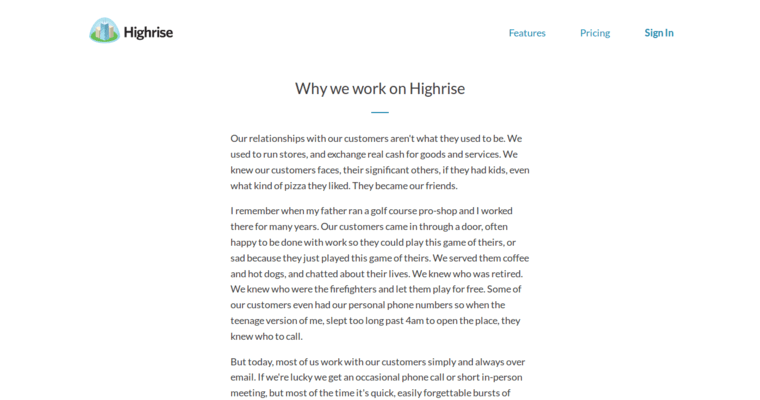 There aren't many software solutions for customer relations management that are as effective and comprehensive as Highrise CRM. 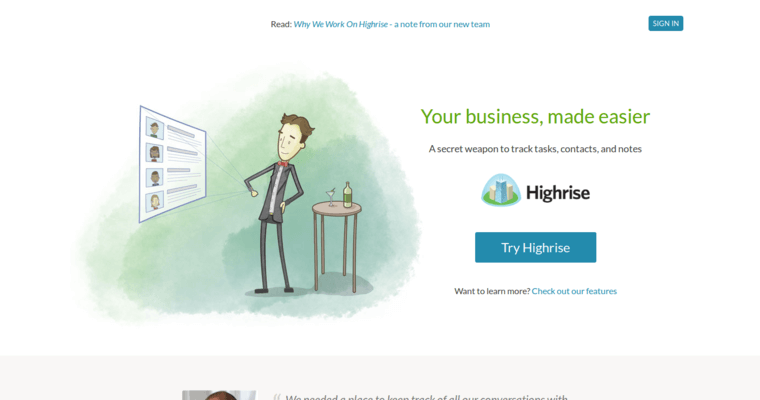 This series of tools provides your sales team with everything it needs to perform at the highest possible level. The software includes the ability to send bulk emails at any time, and it brings all your dislocated contact information into a single comprehensive page. If you need to find a specific follow-up appointment or track the progress of a lead, the software will handle all of that and much more. 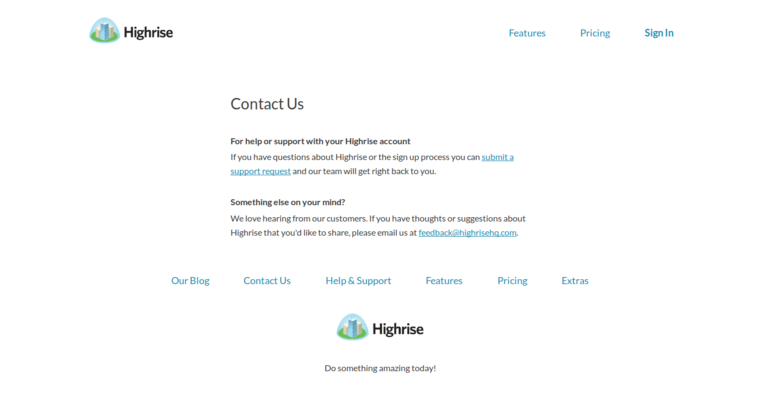 One of the best aspects of Highrise CRM is that it makes it easy for your brand to grow as much as it can. You'll never have to worry about missed leads or opportunities again since the software makes sure nothing slips through the cracks. Tasks can be assigned to specific team members, and you can write thank-you notes directly through the system.